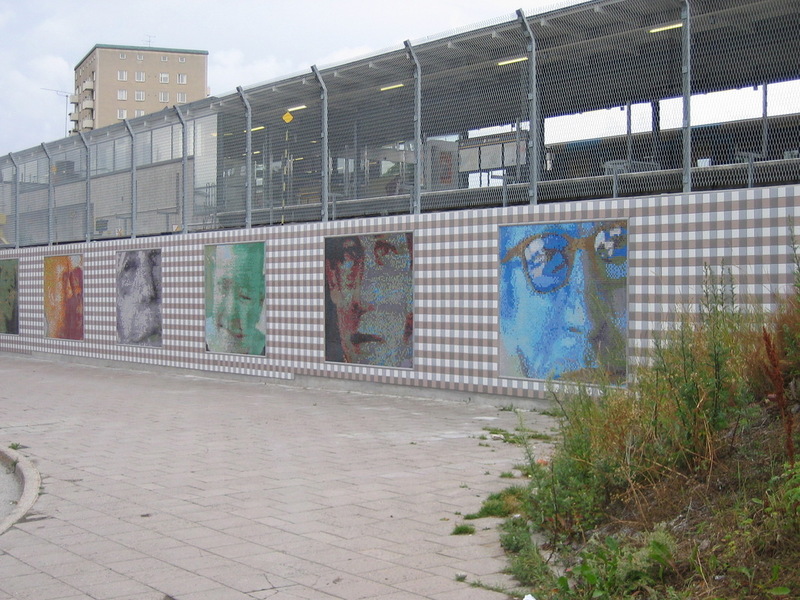 Wall outside the subway seen from the right side. 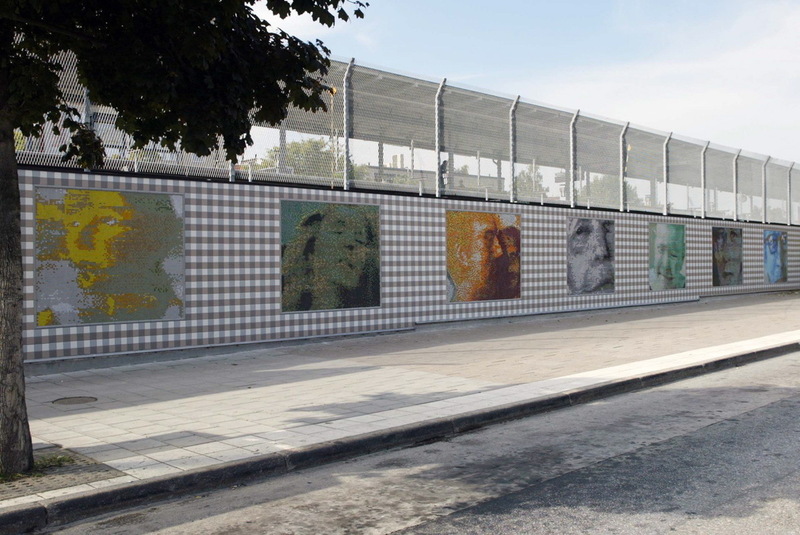 Seven mosaic faces, each 190 x 240 cm, bonded together by a tiled pattern, similar to a tablecloth. Benny Sundström working on the set. The seven mosaic faces from the right side. 'Childface'. 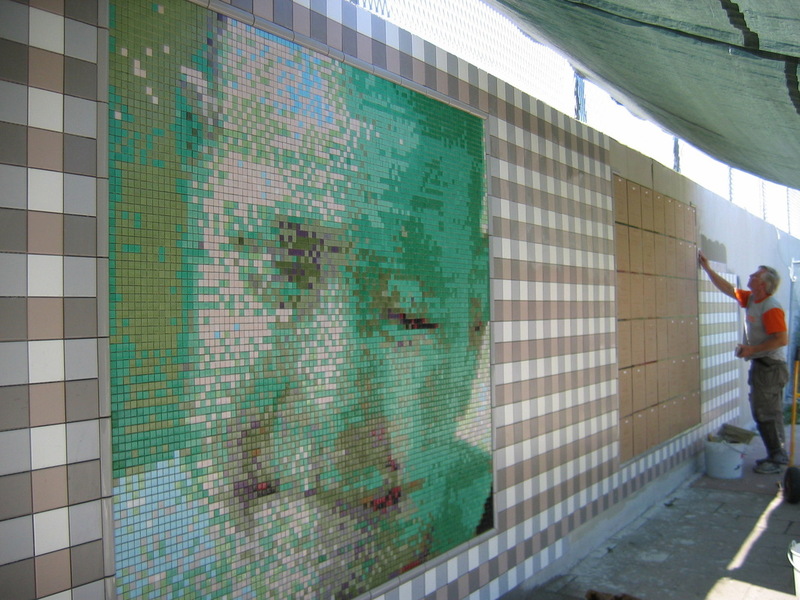 A mosaic face in the ticket hall. 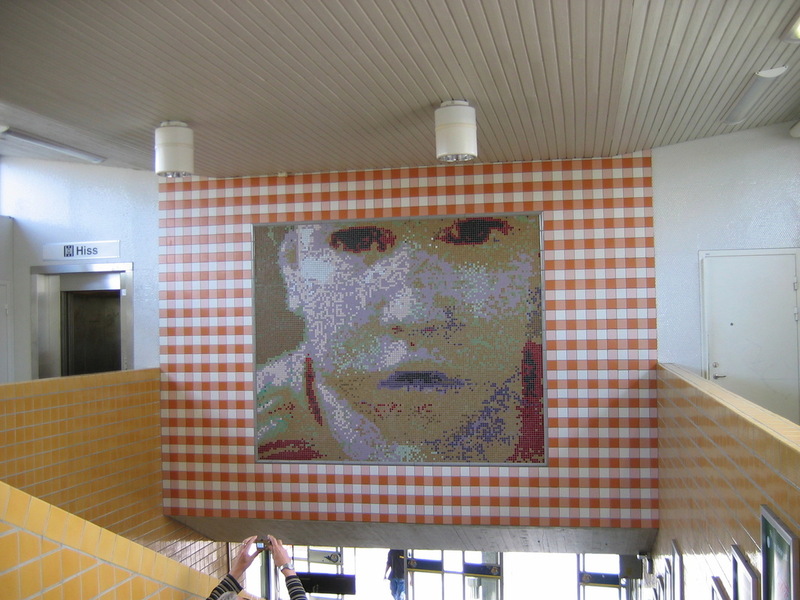 The image was done from a small painting of Josefin, and like all the mosaic faces, completed at Opiocolor on the french riviera. The tiled pattern here has a red theme, even more similar to a table cloth than on the outdoor wall. 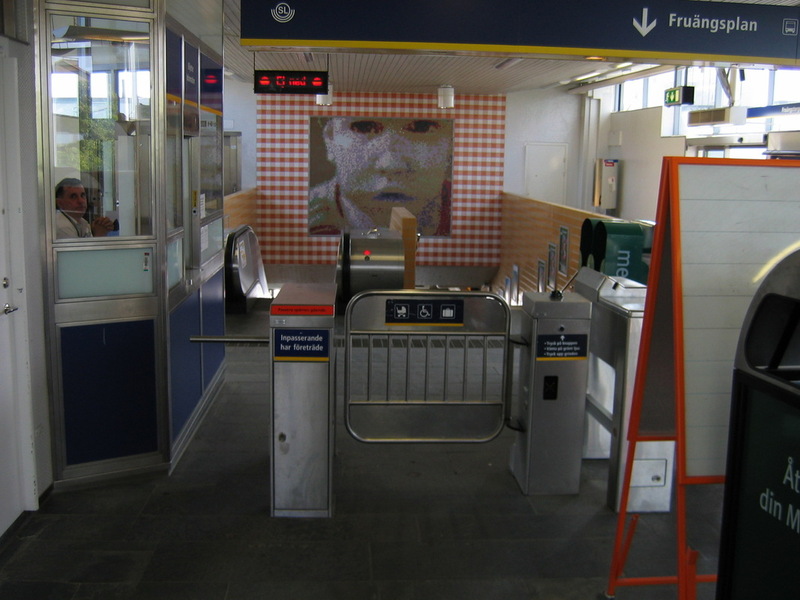 'Childface' seen from the latch guard regimen. 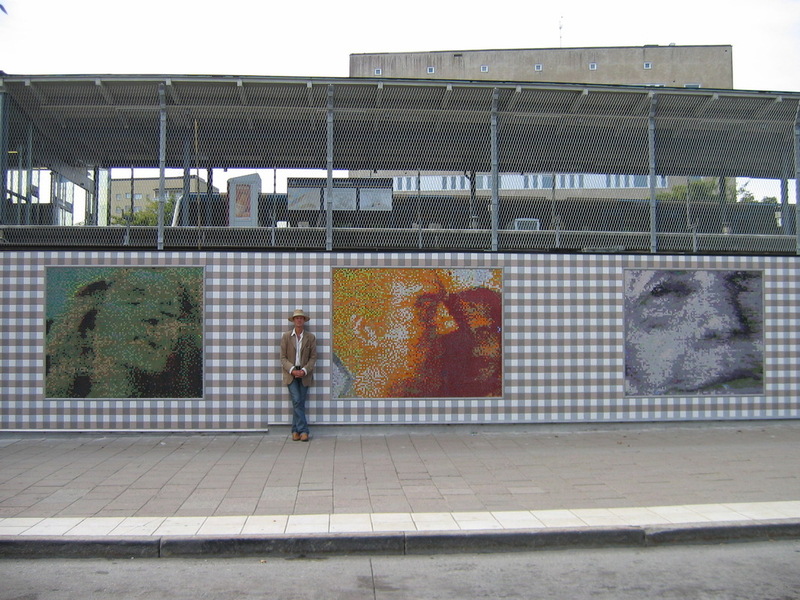 Artist in front of the mosaics.